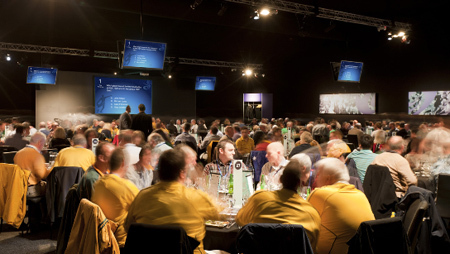 We were proud when The Complete Package, a Wallflower Certified Reseller, invited us to provide the software and day to day management for a battery of 18 large format screens in the VIP pavilion at the 2011 Rugby “World Cup in Auckland. The event management provided a series if daily quiz questions and answers which were displayed using Wallflower. Wallflower staff monitored and managed the content which was changed on a daily basis.